A girl plays a video game and gets more than she bargained for. A talking wristwatch leads a man on a search for forgetfulness. 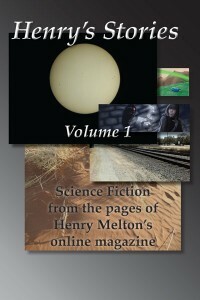 Henry Melton’s short fiction has been gracing magazines and anthologies since the 70’s. Beginning in 2011, he has begun an on-line magazine to collect these old stories, and many new ones, into a place were new readers can discover them. This is the first volume of a series to collect some of these short tales and adventures into traditional anthologies. As for this book in particular, honestly, I was left a bit disappointed. Of the 10 stories in the book, only 2 felt completed. The others felt far too open ended, as if the author had started something larger, got bored with it and just left it how it was. What's there is enjoyable, but from the first story in the book, I was left hanging and after a couple of these, it becomes a rather uncomfortable feeling. I'm hoping for better luck with volume 2 which is next up in the stack.